A new EU regulation on spirit drinks was adopted on Tuesday that includes provisions strengthening the protection of geographical indications vis-à-vis trademark rights; on the same day, future actions to enhance the protection of all geographical indications were presented to WIPO. Geographical indications were in the spotlight last Tuesday, when the Council of the European Union announced the adoption of new rules for spirit drinks that also enhance the protection of geographical indications against trademarks. On the same day WIPO was presented with a list of priorities to strengthen protection of geographical indications worldwide drafted by OriGIn (Organization for an International Geographical Indications Network), an association of producers and other GI-related institutions from 40 countries. On 9 April 2019 the Council fo the European Union adopted a new regulation on the definition, description, presentation and labelling of spirit drinks, the use of the names of spirit drinks in the presentation and labelling of other foodstuffs, the protection of geographical indications for spirit drinks, the use of ethyl alcohol and distillates of agricultural origin in alcoholic beverages. The new regulation is to repeal Regulation (EC) No. 110/2008 of the European Parliament and of the Council of 15 January 2008 on the definition, description, presentation, labelling and the protection of geographical indications of spirit drinks. The aim is to clarify and improve the legal framework for spirit drinks: the new rules should guarantee clearer labelling across the EU as well as ensure a certain level of harmonisation of some aspects such as the maximum level of sugar content. The protection of geographical indications vis-à-vis trademark rights is also strengthened by granting 7 additional years of protection as compared to WTO TRIPs rules. The new regulation is to enter into force 7 days after publication. 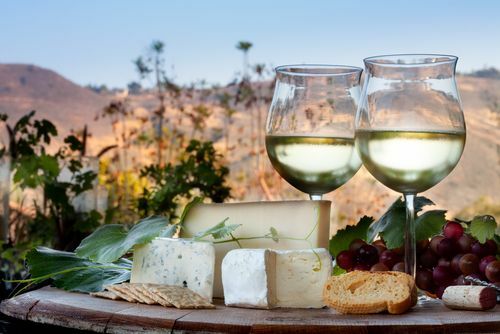 While certain provisions on geographical indications will apply immediately, most of the new rules will be applicable as of 2021. On 9 of April OriGIn, presented a list of priorities for 2019 to WIPO (World Intellectual Property Organization) and its member states during a meeting of the Standing Committee on the Law of Trademarks, Industrial Designs and Geographical Indications. WIPO member states should recommend ICANN to enable geographical indication groups to access the Uniform Name Dispute Resolution Policy for disputes related to the registration of second level domain names in conflict with geographical indications.